Limbo is hardly a revolutionary game: it’s not one of those small indie productions that introduce a fantastic mechanic that no one’s ever thought of before. In fact, all you can ever do in Limbo is walk, run, jump, and perform simple interactions with objects, such as pulling, pushing, and so on. And whereas a game like Terry Cavanagh’s VVVVVV combines a similarly limited control-set with clever, often insanely-difficult challenges, Limbo succeeds by framing a game of simple puzzles and challenges in a world replete with atmosphere, and with haunting touches. You play as a small boy, and you wake up in a dark forest clearing without explanation or context. From this you travel through a dangerous natural landscape until you come first to a wasted, uninhabited city, and finally to an abandoned factory. On the way you encounter hazards and have to avoid danger, and keep moving. For the majority of the game, until around its final third, these challenges are mostly simple and understated: you may have to navigate a series of bear-traps or find a way across a small lake. Regardless of how it’s presented, each challenge faces you with the distinct possibility (and saying that; the reality) of a painful death. traps may be hidden in the tall grass, or a makeshift bridge may not hold your weight, leaving you to drown in the waters below. 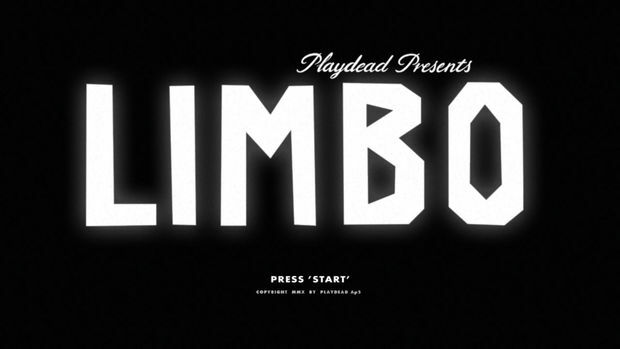 Limbo presents you with hidden dangers you often can’t really hope to anticipate, and it presents the death of the boy you control without blinking or looking away. So a lot of the problems you encounter are going to be overcome through trial-and-error; meaning the boy will die many times throughout the course of the game’s three to four hour running time. In most games this would be considered a flaw of design, and in Limbo it can certainly be unclear just what you’re supposed to do at times, but Playdead, the small studio behind Limbo, uses this trial-and-error gameplay to show you the real dangers of this imagined world. It’s very rarely even slightly frustrating, and it really works in what it’s trying to do: the very unpleasant nature of watching this small boy drown, or be crushed, or whatever, enhances the dangerous, foreboding feeling of this blasted, withered world. And while a game attempting to implement a photo-realistic artistic style would just be deeply unpleasant in showing you the violent death of a defenceless child, Limbo’s monochrome, simplistic style makes the game gruesome, yes, but prevents it from being violence for violence’s sake. The art-style of Limbo is instantly captivating, and its black-and-white, film-grain styled looks give us a game that is unlike anything I’ve ever seen in the medium. Undoubtedly its uncomplicated interaction and 2D platforming experience helped such a small team to make a game that looks quite this impressive. Furthermore, the minimal use of sound helps greatly to build an atmosphere of quiet horror and awe. Really though, I don’t want to get too effusive here; it’s too easy to get ahold of a game that looks artsy and run your mouth for far too long about its great artistic merits. Its art-style and use of lighting, sound, and so on really is pretty astounding. And the simplistic first third, where you move through the wilderness is very impressive, as you encounter the bodies of other, less-fortunate children, and in one genuinely chilling scene are made entirely helpless before a giant, black-shadowed spider. But its not all perfect; somewhere towards the last third, as you move from city to abandoned factory, things change slightly: the atmosphere drains away somewhat, an atmosphere that is Limbo’s greatest asset, and you’re faced with a more complex, but far more traditional puzzle game with lasers, and saw-blades, magnets and automatic-turrets. It almost completely washes away the experience you’ve been having, and replaces it with something interesting, yes, but that doesn’t quite fit. It stops being a simplistic game with a fantastic atmosphere to a really quite interesting puzzle game with a somewhat impressive atmosphere. The more puzzle-oriented final stretch could be a compelling game on its own, but it doesn’t really work with the game that Playdead have carefully crafted up until that point. In terms of storytelling, Limbo has a great approach, though of course by no means the only great approach: the vague story that’s there is only ever hinted at, and it’s driven by your actions as the player. You’re never going to be faced with a revelation as to where this boy is, or why he’s in this situation. The name Limbo obviously seems to reach to the concept of Limbo of the Infants, where unbaptised infants go when they die (or rather, where some people say that unbaptised infants go when they die), but nothing is ever shown to support or deny this. There’s the spectre of a small girl that you come across at times, but you can never seem to reach her. Once you first see her, though, it enters your mind that she is your objective; what you’re running towards. Again, though, you’re left to speculate as to who exactly, if anything other than an idea, she is. The ending, coming quite suddenly after a half-hour of difficult puzzles, is slightly jarring, but it really is, like most of the rest of the game, an understated, affecting piece of work. So it’s hardly too different, mechanically speaking, from many other traditional platforming games, and many people have picked up on that in their criticism. And yep, it does gleefully employ unfair challenges against you, but overall it’s hugely impressive for its atmosphere and its audio-visual artistry. Not perfect then, and maybe it would be nice if it had tried to do something more original in its puzzle-platorming ways. And finally, as I said before, the third act is rather difficult to place, hardly in-keeping with the rest of the game, but I’d heavily recommend anyone with an Xbox 360 (it’s soon to be released on PC and PS3) to pick it up and try it out. It’s certainly worth finding out what it has to show. This entry was posted in Games Blather and tagged Limbo, Playdead, Review. Bookmark the permalink.